A reliable supply of process gases plays a vital role in most industries. Currently, these gases are mainly supplied by electrolysis or road transportation of compressed or liquefied gas. HyGear offers small scale on-site hydrogen generation systems ranging from 10 Nm3/h up to 1000 Nm3/h. This makes them highly suitable to be installed at industrial sites and hydrogen filling stations. 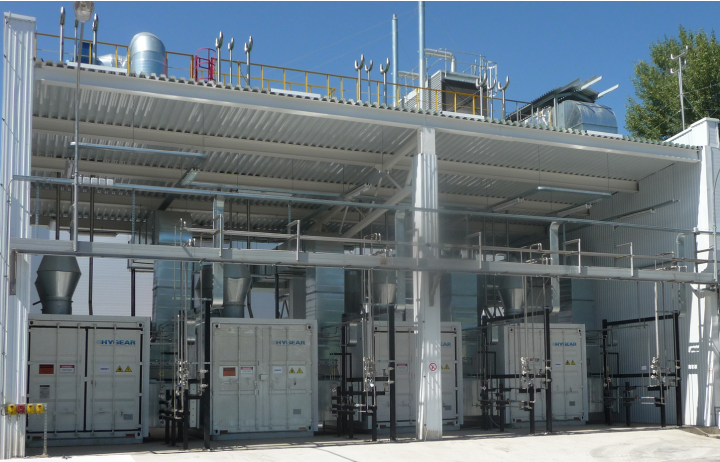 The Hy.GEN® systems produce hydrogen by converting natural gas with Steam Methane Reforming. Decentralised hydrogen production offers a safer, more reliable and cost-effective alternative to conventional hydrogen supply by tube trailers or electrolysers and significantly lowers the environmental impact.